Newton, Mass. – John Tellier made sure Braintree's long wait to begin the season was well worth it. 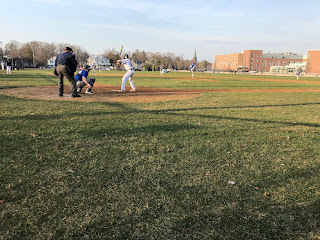 On Friday afternoon, Tellier went six strong innings striking out 11 and allowing just one run as Braintree opened up its season with a 3-1 victory over Newton North at Newton North High School. Tellier, who proved to be a vital piece to the Wamps end of the season run to the Super Eight Quarter Final in 2017, made sure everyone knew right off the bat that this year’s Braintree staff would be his. The right-hander showcased a solid mid 80s four-seam fastball and mixed in both a slider and curveball. 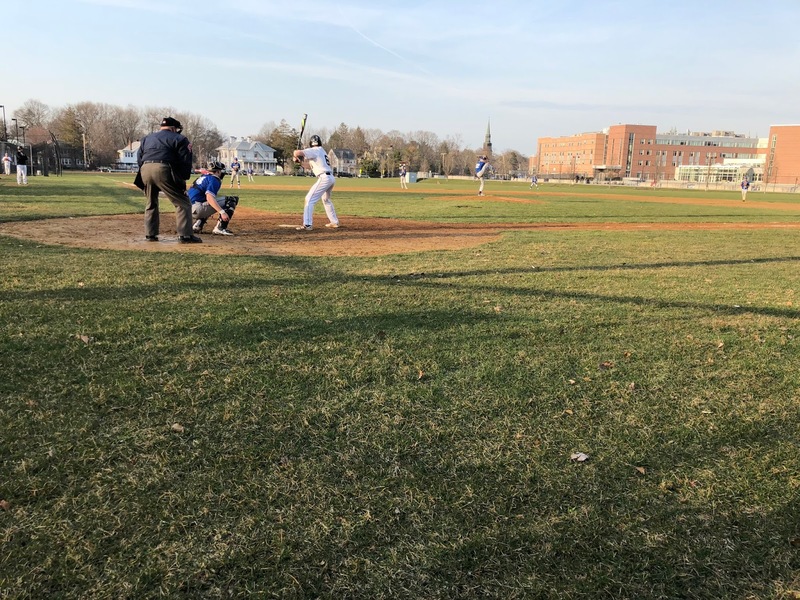 Braintree held a 3-0 lead entering the home half of the sixth inning, but the Tigers offense - shut down for the most of the afternoon – came to life. Leadoff man Spencer Checkoway singled and Dante Taylor walked putting two on with one out. Tellier came back to strike out Alex Krylov, but Ryan McLaughin lined an RBI single to right center-field to trim the deficit to 3-1. Tellier, however, was unable to retire John Moore who reached on via a walk loading the bases and putting the go-ahead run on base. Patrick Svensson stepped into the dish with the chance to give Newton North the lead. Tellier saved his three best fastballs for last, blowing three straight four-seamers by Svensson for his 11th strikeout of the day and bringing an end to the Tigers' threat. Jack Collins came on in the seventh and worked around a one out single for the save. “John (Tellier) had a terrific pitch count through five and then he just kind of hit that first game wall expectedly," said Braintree coach Bill O'Connell. "Jack (Collins) has had a great preseason and a great summer and we were looking forward to getting him into a game. He did a great job shutting them down in a critical spot." Jackson Duffy proved to be the catalyst for the Wamps' offense. After being unable to put the ball in play with two runners in scoring position in the first, Duffy came up in the third and drilled an RBI single to left to give Braintree a 1-0 lead. "First inning he had second and third didn't come through but a great player will step up and come through in the next at-bat and that's what (Duffy) did," said O'Connell. "That was great for him and that's a sign that he will be one of our better players." Kenny Schecter matched Tellier pitch for pitch for most of the afternoon. Schecter went five innings, allowing three hits, and giving up just one unearned run while fanning nine. The Wamps found success against Newton North’s bullpen in the sixth and gained separation. Alex Kennedy was hit by a pitch and then came around to score courtesy of three consecutive wild pitches. Duffy then restarted Braintree’s offense working a walk before scoring on an RBI singe off the bat of Brendan Danahy to give the Wamps a 3-0 lead.